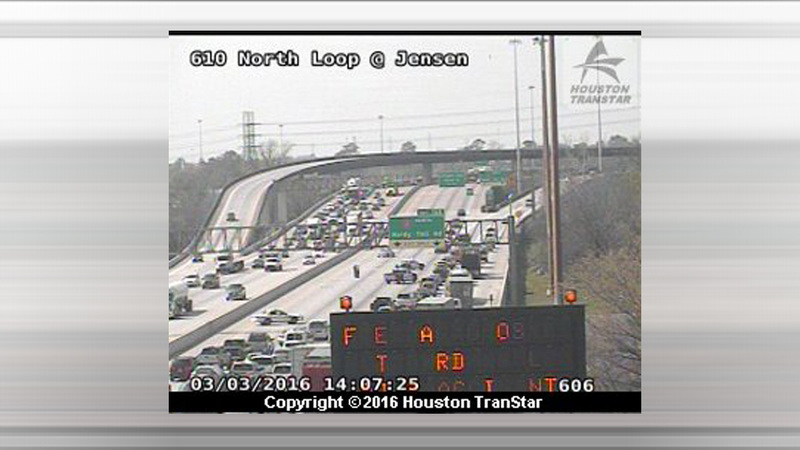 All northbound lanes of 610 North Loop are shut down at Hardy Toll Road due to a car accident. TranStar verified the two-vehicle accident at 1:05pm. Details about the wreck weren't immediately available. Stay with abc13.com and Eyewitness News for the latest updates.